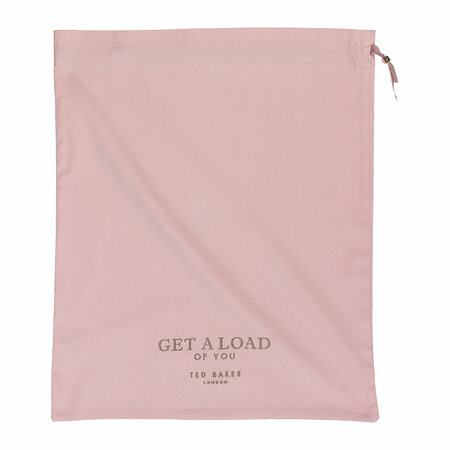 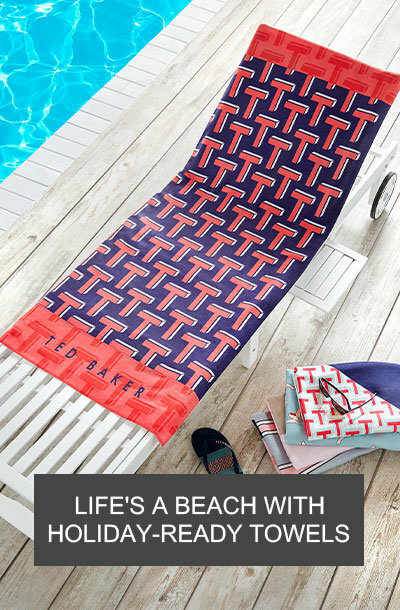 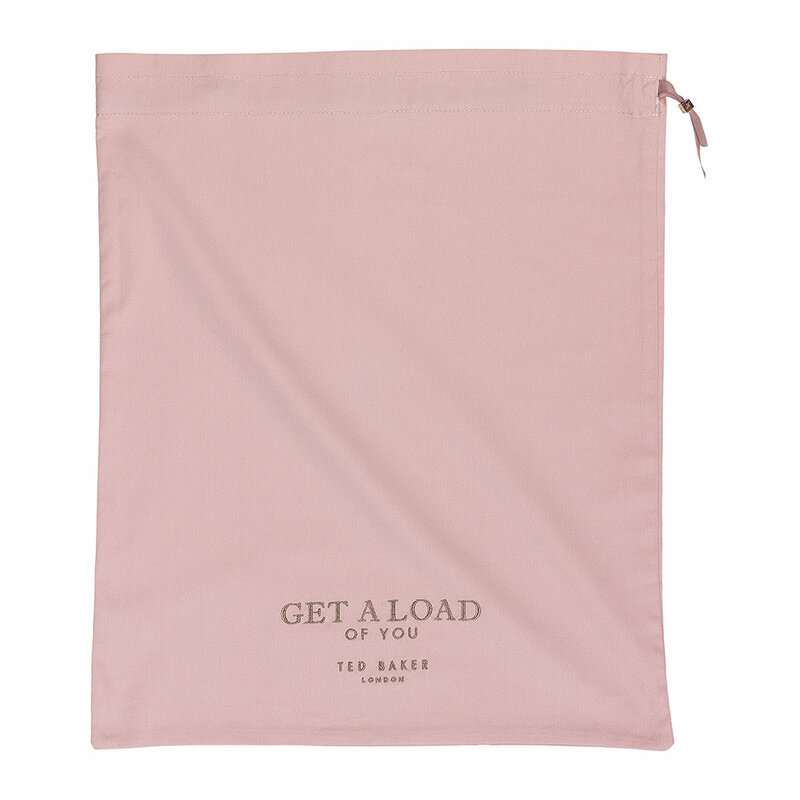 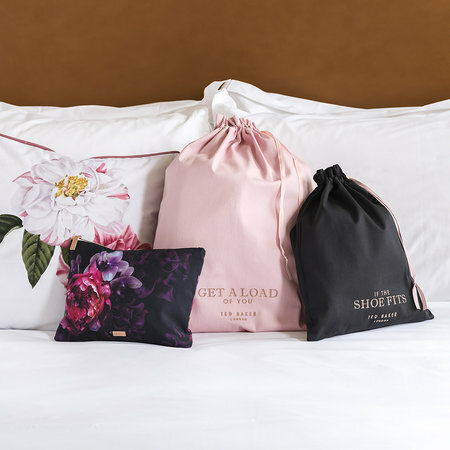 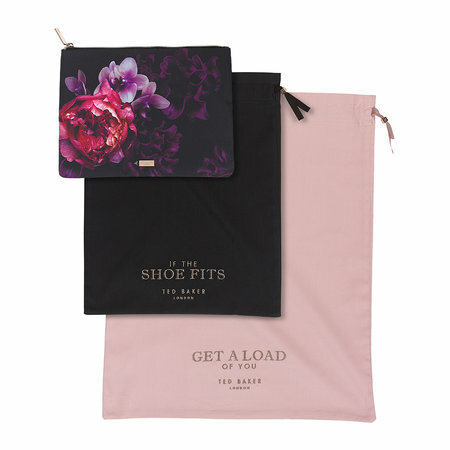 Keep your travel essentials organised with these Splendour Laundry & Shoe bags from Ted Baker. 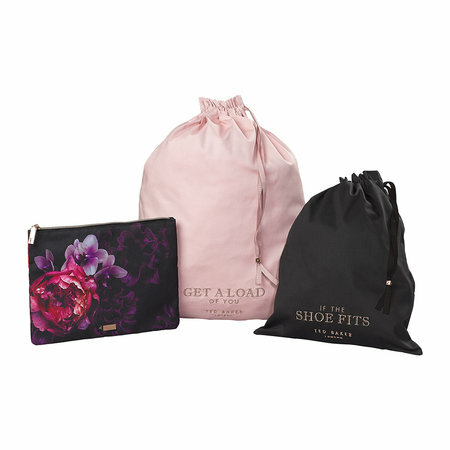 Beautiful and stylish, the black and pink drawstring bags fold up and fit inside the zipped floral bag that doubles as a clutch bag for evenings out. 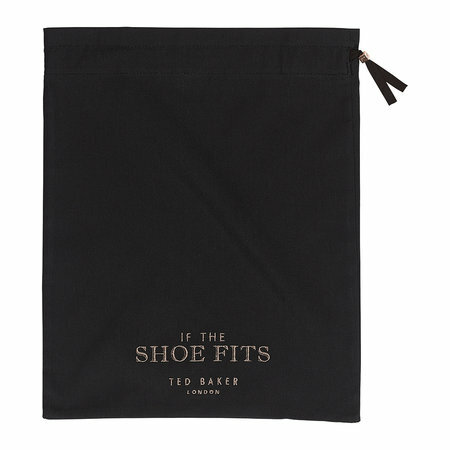 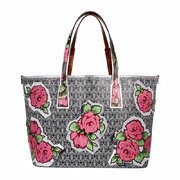 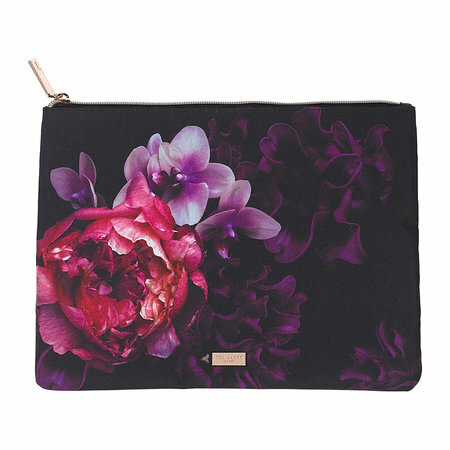 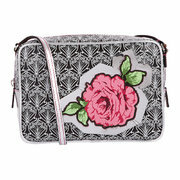 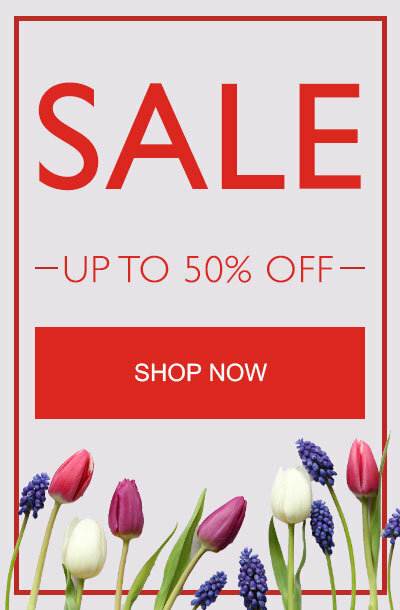 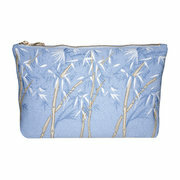 A striking set, these bags make a wonderful gift idea for women that appreciate the beauty of Ted Baker designs.